This all star ensemble successfully breathes new life into the exciting style of classic jazz music. The players combine contemporary playing abilities and great passion for this old style. As loyal disciples of the great masters of the traditional jazz style, the musicians sweep the audience off their feet and back into the roaring 1920s. Following a thorough research of this style and repertoire, the band offers the listeners a fascinating spectrum of some of the best of the golden age of jazz, with both rare musical gems and beloved well known songs. An abundance of Love songs, dances, spirituals and blues songs are delivered with joyous and vivacious authenticity, that makes this band the leading traditional jazz ensemble in Israel. In the seven years since its creation, the band has brought the real sound of New Orleans jazz to many eager listeners in countless successful performances. The band has played in some the of the finest venues around Israel, among them The Shuni Jazz Fest, The Israel Festival (Jerusalem), The Jerusalem Jazz Festival, The Tower of David Jazz Festival, The Yellow submarine jazz club and many more. In addition to its regular activity, the band has initiated special projects such as the homage to Israel’s early music show that featured Israel Gurion, one of Israel’s well known singers. 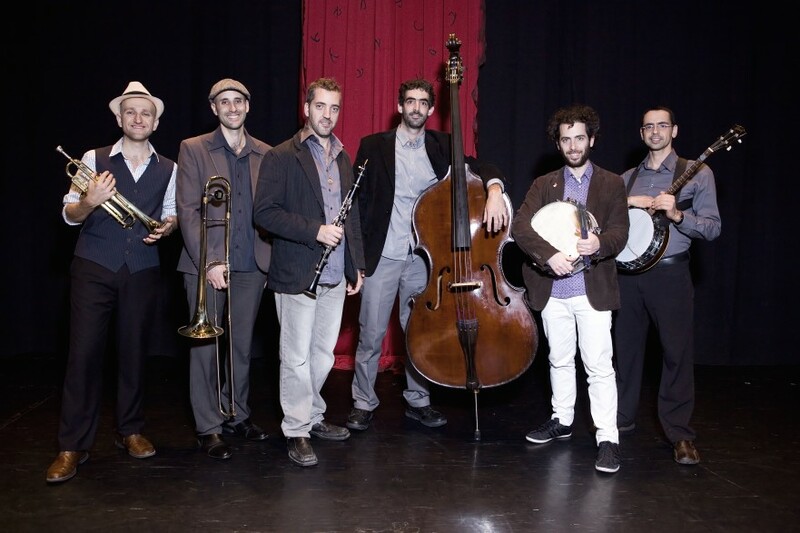 In addition, the band has cooperated with some of the greatest traditional jazz artists in Israel, among them the world renowed saxophone player Jacques Sany, Merton Cahm, Boris Gammer and Naum Preferecovitch.